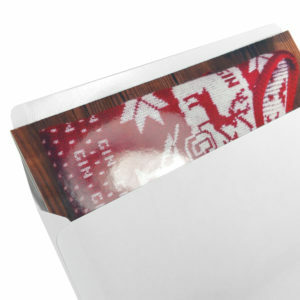 Want to surprise a gin loving friend or family member with attractive gin Christmas Cards? 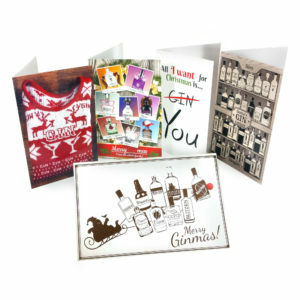 Look no further than our collection of in-house designed Ginsanity gin special event greeting cards. 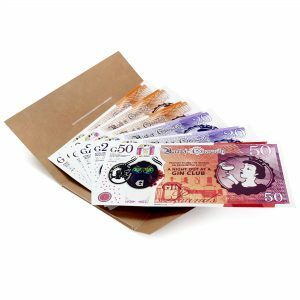 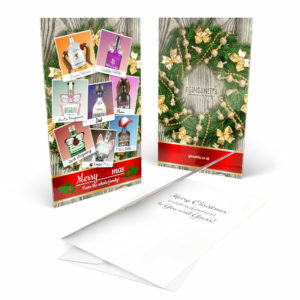 Give the gift of humour with our collectable xmas, birthday, and holiday gift card packs, with unique pictures and retro vintage or modern font styles to choose from. 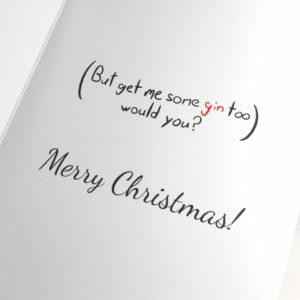 Fun and colourful, with gin quotes, sayings, and artwork, give the most unique gin Christmas cards available online with nice thick high quality paper and glossy finish. 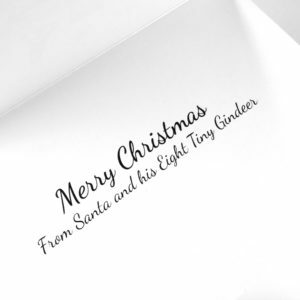 The perfect cards for hassle free gift ideas. 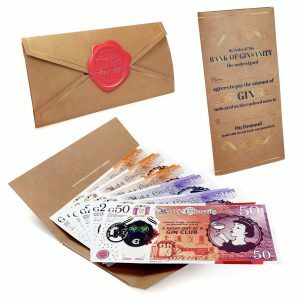 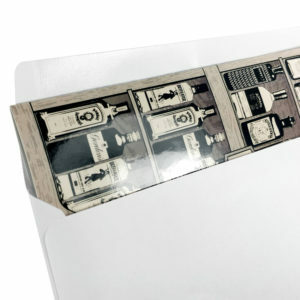 Why not combine a card with one of our glasses, coasters, or other gin kit to make the ultimate gin gift set. 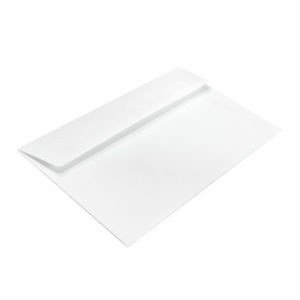 Your friends and family will thank you for bringing them lasting smiles instead of just an email. 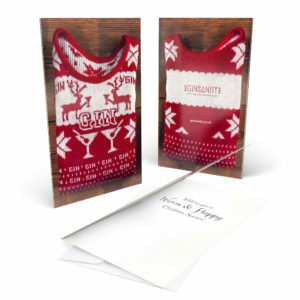 Make your seasonal gift one to remember. 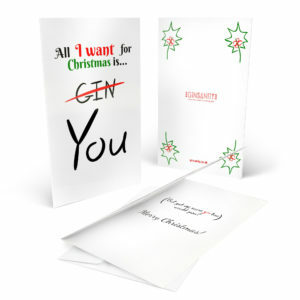 Gin is the most personal of beverages, and that you remembered your friend or family member loves gin really drives home that you know them, and with the universal language of humour, these cards are spot-on. 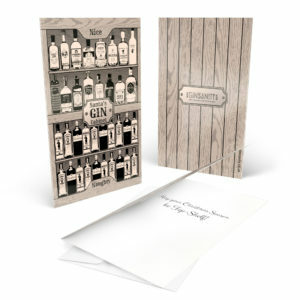 Indeed, it’s hard to go wrong with a card and we design them in house to be unique and specifically for the gin lovers out there. 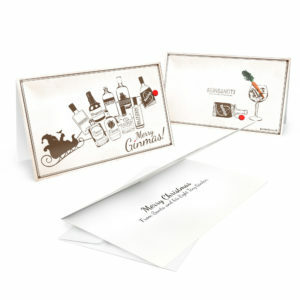 So whether you are one, or know one, or both, these cards are guaranteed to bring a lasting smile to mantles and desks of gin lovers worldwide.